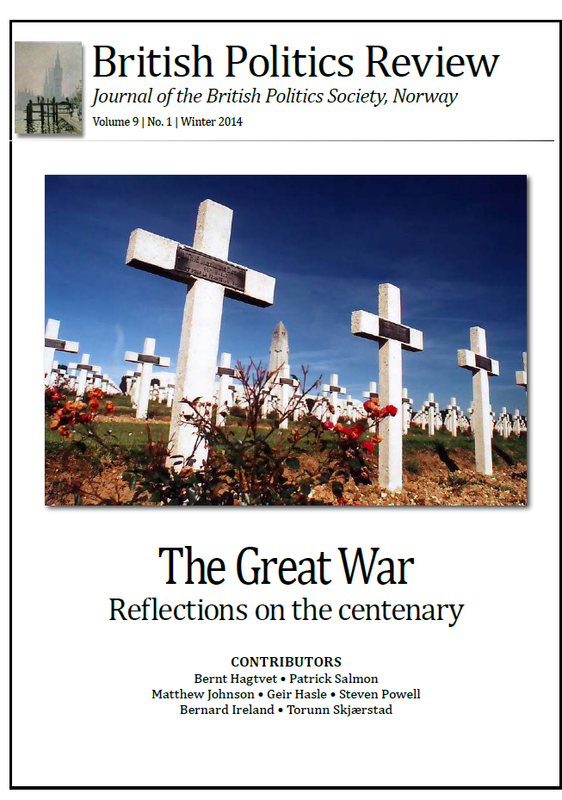 The latest issue of the British Politics Review takes as its subject the First World War. A few months ago I contacted one of the BPR’s editors Øivind Bratberg as I had an idea for an article about humorous depictions of the conflict. I was intrigued by the idea that there were relatively few comedic portrayals of the First World War in comparison to the Second World War. However, the humorous portrayals that have been made (Oh! What a Lovely War, Blackadder etc.) seem to have had a profound effect on both public and academic thinking on the subject. Anyway, I began writing the article, and then Michael Gove and Tristram Hunt began a war of words in the newspapers about almost the exact same subject. This was something of a mixed blessing in terms of writing the article, but it brought home how important and contentious cultural depictions of the war can be. This is my third article for the British Politics Review, you can read the previous two here and here, and is titled ‘The Great War’s Culture War’. Here’s the link to the whole issue.